Part I can be found here. It provides some of my thinking behind this, Part II. Obama won and we lost. There are lessons WE must take away from this election. One lesson is that the Republican party is not what in many parts of the world is called the OPPOSITION. They are not the opposition. We are. The virtuous conservative and libertarian Americans are the opposition. We have no party that represents us. Yes, there are some small third parties; but, it would take years for a viable third party to be in a position to challenge the two-party system. We don’t have years! The second lesson we must take away from this election is that Obama won because the combined forces of the anti-Obama voters and the pro-Romney voters did not show up in sufficient numbers to defeat Obama. Obama garnered millions fewer votes on Tuesday than he did in 2008. But Romney barely garnered the same as John McCain in 2008. That is the sad truth. What happened to our so-called enthusiasm gap advantage? All of the various reason for why so many of the opposition did not vote no longer matter, in my opinion. America will continue down the path of decline in every sense of that word. The question we must face is how do we survive between now and then. I have no idea how long this dark and dangerous period will last. This much is clear to me. WE THE OPPOSITION are going to need each other more than ever before. We are going to need better ways to network with each other. It will be important to have better ways to keep all of the OPPOSITION informed. We will need to know what is happening and where it is happening. We will need to know who needs what where. We will need to know who has what where. In short we will have to help each other survive this dark and dangerous period. The resistance must continue! I agree that we “don’t have years,” but I envision doing things bit by bit and over time, perhaps enough to prevent a collapse. Neither a collapse nor a civil war is a viable option except in a state of extremis, at which we have not yet arrived. Do we need a new party? This country is in trouble and it is clear that neither party — is going to fix the problems we face. Cain agreed . . . that conservatives are growing tired of being ignored by Republican party leadership — and that many believe the GOP no longer speaks for them. “I don’t believe the Republican Party has the ability to rebrand itself against the mainstream media machine that blatantly works to support this president and other liberals as well as the Democrats,” Cain told the radio host. Cain said it would take money, leadership and at least 50 coalitions to create a viable third political party. “You need one for every state because of the whacky rules state by state that they have that make it difficult for a third party to emerge,” he said. He said the new party could be made up of not only disenfranchised Republicans — but also Democrats. The idea has much appeal but obviously needs to be fleshed out a lot, as have many of Mr. Cain’s ideas. Perhaps this article can provide a very small start in that direction; I hope that more savvy people will pursue the issue and do better jobs with it. A new party needs a name and many come to mind: Conservative Party, Constitution Party, Independence Party, Fiscal Sanity Party or maybe even Tea Party. For purposes of this article, I’ll just use “New Party.” But it needs much more than a name. It needs objectives consistent with furthering Conservative, Constitutional, Independence and Fiscal Sanity ideas, different from those of the Republican Party. They should revolve about the idea of going back to up to the basics. Rather than try to keep incumbents perpetually in office, the New Party should do the reverse: there should be no New Party support for any House incumbent’s reelection after he has served one, or perhaps two, terms as a member of the New Party. Being a CongressCritter should not be a career; it should be a brief period of service to the country — perhaps four years for members of the House and six years for Senators — followed by return to being a private citizen. If, following that period, he wants to run again, New Party support should depend on what he did while in office and what he did when he got back home. Was he effective in promoting New Party principles while in office? Good. Did he go to work with or for a company at which he had shoveled pork while in office? Bad. Did he spend much of his leisure time talking with former and hopefully future constituents to probe their views as well as give them his? Good. Did moral shortcomings or too many “gaffes” cause him to fall on his face and become unelectable? Bad. The principles I think should be espoused by the New Party are held decreasingly by the Republican Party and the Democrat Party seems forsaken to them. Everyone is familiar with the term “Cafeteria Christians;” it seems that we might also use the term “Cafeteria Republicans.” The New Party’s goal should be to further its own principles. In doing so, there may well be areas of agreement with Republicans and even a few Democrats. To the extent that there are, New Party members should form transitory coalitions with Republicans (maybe even with the occasional Democrat) and vice versa in hopes of passing legislation acceptable to both. Many countries do not have majority parties and rely instead on coalitions, often fluid depending on the critical issues of the moment. Might that work in the United States? What have we to lose by trying? Assuming that the numbers of New Party members increase over time, the Republican Party may come to need New Party support. How can the New Party get the “money, leadership and at least 50 coalitions to create a viable third political party” as Herman Cain suggests, correctly, are necessary? Talk radio is presently a good venue. 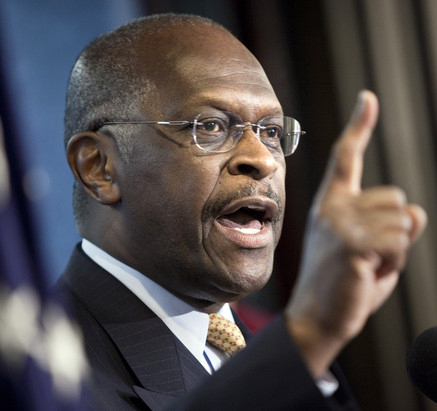 If the energies and other resources of the (non-party) tea party can be tapped, with the help of such as Allen West (who may or may not have won reelection), Michelle Bachmann (who won), Mia Love (who lost) and Herman Cain (who did not run), it might be possible. How about Senator Rubio? How about some Libertarians? Might some Republican members entering or returning to the Congress with tea party support find their proper places in the New Party instead of the Republican Party? Perhaps. Ditto members of State legislatures? Perhaps. Might some of the contributions now going to the Republican Party and supportive PACs go instead to the New Party? Perhaps. We won’t know until we try. The above suggestions are principally procedural (we lawyers love to write about procedures). Here are a just few substantive suggestions. The public education system in the United States has become little more than a Librul (not Liberal in the classic sense) propaganda machine, turning out Librul clones. Our system of higher education, also for the most part a venue for Librul propaganda, also turns out Librul clones, some of whom then become K1-K12 and college teachers. The morass grows with what it feeds upon. We need to find ways to undo the present system, now based on ideological efforts to distort reality as taught to comport with ideological views of what reality should be. Here is an, er, interesting tabulation. I can’t vouch for its accuracy or the methods used in compiling it, but it looks about right. This trend will for all practical purposes be impossible to reverse soon at the Federal level due to the pervasive career Librul establishment there — elected, appointed and career. It should be less so at the State and local levels. Doing it there will require giving up some of the Federal funding now received and diminishing the roles of teachers’ unions and administrators. Fortunately, there are now 30 Republican governors for the first time in more than a decade. That, combined with sufficient New Party members at State and Local levels, should allow the process at least to get started. It may take many years to show good results, but the current system took many years to get deep into the Librul pit — with Federal support. We have to be in it for the long term, initially with little if any Federal help. To change the Federal view of the purposes of education, it will be necessary to change the views of those finishing school and entering Government service. Significant numbers will have to enter Government service, not to better themselves but to pursue New Party principles. Eventually that may change the ways in which our “ethical” media do whatever it is that they do. A common perception seems to be that the United States have done more bad than good in the world. Our educational system is partially to blame for that perception and eventually it may change. At least until 2009, we did many good things (but probably not enough) to promote democracy with freedom. We now promote democracy without freedom, particularly in the Middle East; mob rule is bad. Please see Benghazi and President Obama’s Foreign Policy — Proactive or Reactive? With the generally unexpected resignation of General Petraeus, more verifiable information may seep out about what we have been doing, even with the customary lack (with the exceptions of Fox and occasionally CBS) of vigorous pushing by the “ethical” media for facts. The election is over so there can be no damage to President Obama’s non-existent chances of reelection. That may to some extent unshackle the “ethical” media. However, the FBI investigation had been in progress for a long time and General Petraeus obviously knew what he had been up to well before the investigation began. [T]he affair apparently took place some time ago. Petraeus says it happened “after 37 years marriage.” He has been married for more than 38 years. He became CIA director on June 30, a week before his 37th wedding anniversary. the White House, with concurrence by the FBI and Justice Department, held off on asking for Petraeus’ resignation until after the election. His resignation occurred three days after the election, avoiding the possibility that Obama’s ill-fated appointment of Petraeus could become an issue in the election. FBI agents on the case were aware that such a decision had been made to hold off on forcing him out until after the election and were outraged. To the extent that President Obama has even had a foreign policy, it has been excessively reactive and tied to his apparent perception that reality is what he wants it to be. It’s not, so his very perceptions are a bad and lead to bad results. To what extent did General Petraeus accept or challenge President Obama’s perceptions? They seem to be based in large part on the absurd notion that Islam is the Religion of Peace and on his multicultural world view that everything is just as good as everything else — except when our own civilization is considered; it is seen as perverse. If we can’t even call our civilization’s principal current enemy by it’s name, or see the good in our own civilization, how can we hope to preserve it? The national economy is a mess that would have been unbelievable even a decade ago and continues to get worse. We can fool around trying to secure a balanced budget amendment to the Constitution, but getting something agreed upon by two thirds of the members of both houses of the Congress and ratified by three-fourths of the States, required under Article V of the Constitution, is highly unlikely; were it to happen, the language of the amendment would so resemble Swiss Cheese as to be worthless. All Bills for raising Revenue shall originate in the House of Representatives; but the Senate may propose or concur with Amendments as on other Bills. The House, directly elected by the people, received authority to originate all tax bills. The Senate, however, can amend a tax bill, and the support of both houses is necessary for the bill to become law. With its present majority in the House, the Republican Party should be able to direct if not control budgetary and taxing matters; it seems to have been less forceful than it should have been. Perhaps the New Party could eventually be part of a Republican – New Party coalition willing and able to bring more emphasis to those matters. There are many other problems, and actions that the New Party should take concerning them, but a book beyond my capabilities would be needed even to attempt to address them comprehensively. However, it seems that overall the country’s not in the very best of hands and that we had better do something — effective — about it. Whining is not effective. The ideas presented here probably seem a bit “far out” and away from the mainstream. They are. However, I don’t see any alternatives that have a better chance of getting the country moving again in what I consider a good direction. Daniel in Venezuela presents a thoughtful but rather different view here. I disagree for the most part, but consider it well worth reading. I was graduated from Yale University in 1963 with a B.A. in economics and from the University of Virginia School of law, where I was the notes editor of the Virginia Law Review in 1966. Following four years of active duty with the Army JAG Corps, with two tours in Korea, I entered private practice in Washington, D.C. specializing in communications law. I retired in 1996 to sail with my wife, Jeanie, on our sailboat Namaste to and in the Caribbean. In 2002, we settled in the Republic of Panama and live in a very rural area up in the mountains. I have contributed to Pajamas Media and Pajamas Tatler. In addition to my own blog, Dan Miller in Panama, I an an editor of Warsclerotic and contribute to China Daily Mail when I have something to write about North Korea. This entry was posted in 2016 Obama's America, 9-11, Abortion, Blacks, Civil War, Congress, Conservatives, Constitution, Corruption, Cultural differences, Democracy, Democrats, Economics, Elections, England, English language, Evangelicals, Free Press, Government and individual choices, Government reliance, Governor Romney, Health Control, Herman Cain, Hispanic, History, Ideology, Illegal immigration, Libya, Media, Military, New Deal, Obama, Obama Dream Order, ObamaCare, Opinion, Political class, Politics, Propaganda, Reporting, Republicans, Right wing extremists, Socialism, States' Rights, the Basics, United States, Voting, War on women and tagged enthusiasm gap, politics. Bookmark the permalink. George W Bush is the one who ran the country into the ditch with his huge tax handouts to his rich friends (two big unwarranted tax cuts for the rich, which were not paid for, two gigantic foreign wars that could go on forever, returning profits to arms makers for decades, a big handout to pharmaceuticals, etc.). We should have voted Bush out in 2004 when we had a chance, but the slavish worshippers of the Right couldn’t believe how bad it would be. No wonder they are shocked now! 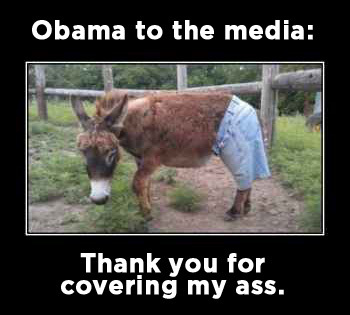 It’s a miracle Obama has been able to save as much as he has! It’s a wonder that the rotten policies of the Bush era haven’t taken us completely into a new depression! This is Part II of Dan Miller’s essay regarding our current state of affairs. I agree with much of this… But I would add a few things such as term limits for all government employees… worrying less about the politicians, making Public Service Unions unconstitutional, and creating a single or at least very limited platform that all individuals might find appealing. I’m afraid, however, that I share a little less of Dan’s optimism in regard to having anything happen without a catastrophe of some kind. As many of you know, having read my posts in the past, I was never a “Romney Guy” so much as I was hopeful that his election could give us the opportunity to slam on the brakes… well, that hope is gone. As always I will continue to put time thinking about what options are realistic and if I find any promote them. Until that time I’m finding myself in the camp of “Let it Burn”. In the end, It seems we are our own worst enemies when it comes to bailing out incredible horrible Socialist ideas at the last minute. So much so that much of the electorate believe with all their hearts (not their minds) that nothing bad will ever happen… sometimes the only way to learn anything is to make a mistake, often very big ones. As always, I reserve the right to change my mind. I was graduated from Yale University in 1963 with a B.A. in economics and from the University of Virginia School of law, where I was the notes editor of the Virginia Law Review in 1966. Following four years of active duty with the Army JAG Corps, with two tours in Korea, I entered private practice in Washington, D.C. specializing in communications law. I retired in 1996 to sail with my wife, Jeanie, on our sailboat Namaste to and in the Caribbean. In 2002, we settled in the Republic of Panama and live in a very rural area up in the mountains. I have contributed to Pajamas Media and Pajamas Tatler. In addition to my own blog, Dan Miller in Panama, I an an editor of Warsclerotic and contribute to China Daily Mail when I have something to write about North Korea.